The bottom of a Cote des Roses is shaped as a rose. This would make a good molotov à la Banksy.. Some Zelda BOTW Amiibos. I’m having a lot of fun with this game. #wiiu #zeldabreathofthewild #zeldabotw #botw #nintendo #amiibo #videogames #videogame #videogamer #guardian #bokoblin #link #zelda. New magnet in our refrigerator. In one hand, according to the Indiana Jones and the Kingdom of the Crystal Skull you could survive a nuclear explosion in a refrigerator. In the other hand, we should collectively forget that movie ever existed. This also reminds me the building I used to live in DC. It had a sign like this, original reminiscent from the cold war, in the underground garage. Everyday when I was parking it would remind me that at least my car was safe from residual radioactive particules..
1. Press and hold the power button for more than 7 seconds while the headphones are turn off. 2. You will see the led light in the phone blinking red and blue alternately. 3. 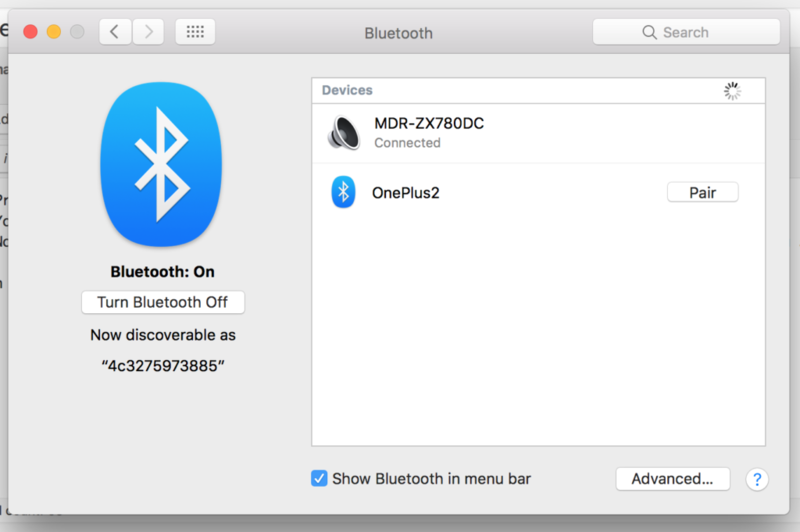 Now in the Mac, open System Preferences -> Bluetooth and turn the bluetooth on if it is not. You should see the MDR-ZX780DC in the list. Click pair for this device. 4. You should be ready to use it. If it is connected but you hear no sound, check at System Preferences -> Sound if MDR-ZX780DC is selected is the default output. When you can’t go back.